Given the popularity of South East Asia as a tourist destination for young Westerners, this collection of seven short stories should have widespread appeal. With the exception of "Distance," which is set in Prague, all the stories take place in the South Pacific - Singapore, Bali, Indonesia, Thailand, Borneo and the Philippines - in time periods ranging from the mid-nineteenth century to the present day. Whether funny, sad, thoughtful, satirical, or poignant, these stories all deal in some way with the impact of the West - through colonialism, tourism, Christian evangelism - on the cultures of the East. For example, in the first story, "Seven Years with Wallace," a nineteenth century British naturalist leaves the young Dyak boy he had purchased as a field assistant seven years previously alone and friendless in Singapore, despite the boy's wish to accompany him to England, because "It is not done." In the title story, "Kingdom of Monkeys" a very physical, strong-minded, foul-mouthed, female tourist travelling with her boyfriend in Borneo is pitted against their male Muslim guides who expect her to conform to their idea of femininity. The final, and strongest, story in the collection is "Beautiful Feet." In it a Canadian missionary drags his family to the Philippines to "plant churches" and finds himself trying to convert a tribe living among the ruins of a movie set and following a religion based on characters from Apocalypse Now. Like all fine travel writers, Schroeder does more than just highlight intriguing aspects of exotic cultures and locales, he manages to show that by leaving home and experiencing foreign cultures we can learn more about ourselves. Training his eye on shores far from his native Vancouver, Canadian writer Adam Lewis Schroeder makes an astonishingly assured debut with this story collection. His prose is subtle, spare, almost elfin in the precision with which it alights on giveaway moments and unconscious desires. And he can be pretty darn funny, to boot. The book's opener, "Seven Years with Wallace," calls to mind the best of Andrea Barrett's scientific/historical tales. Naturalist Alfred Russel Wallace, the evolutionary theorist who was Darwin's contemporary, is in Singapore and heading home to England after seven years of research in the East Indies. With him is his Dyak assistant, Ali, who comes in for bigoted or suggestive remarks from the whites he and Wallace encounter. Wallace rallies to Ali's defense - without ever registering that the deracinated Ali, who has been fed a dream of England throughout his time with Wallace, might want to accompany his employer home. This outline makes the story sound cruder than it is. In Schroeder's hands each detail slips into place obliquely, and much of the meaning - including the unspoken, unsettled contract between Wallace and Ali - emerges almost subliminally from between the lines. Just as good is "Balinese," set on Bali on the eve of the 1942 Japanese invasion. There, a Dutch painter, living in a remote mountain village, falls for his (male) model in ways he can scarcely acknowledge. One of Schroeder's specialties is characters who lose their way between desire and repression of desire - and this poor Dutchman, with fate and his own foibles conspiring against him, is no exception. The closing novella, "Beautiful Feet," follows a Vancouver, B.C., missionary family - ex-rock'n'roller Dad, dubious Mom and thoroughly skeptical 16-year-old son - as they venture into the Philippine highlands "to plant churches." There, they stumble across a hotbed of religious syncretism that blends Second Coming legends, local animism and several key lines from Francis Ford Coppola's "Apocalypse Now." Cross-cultural confusion was rarely this much fun - or this wry in outcome. The book's one false note is the overly broad "Distance," about a Hollywood star's misadventures in Prague. But everywhere else, Schroeder is insightful, insinuating, risk-taking, and in full, calm command of his craft. Colonialism, political strife and poverty inform the novella and six stories that make up Adam Lewis Schroeder's Kingdom of Monkeys, set in such locales as Singapore, Thailand and the Philippines. In the oddly touching "Seven Years with Wallace," an English naturalist prepares to return to England. His young assistant, Ali, who is from Borneo, yearns to go with him, even though such a thing "is not done." A desperate, opium-smoking river guide's assistant is moved to an act of violence against an English tourist in "Many Many Elephants." The novella, "Beautiful Feet," follows a family of missionaries, Barney and Melissa Jordan and their 16-year-old son, Graeme, from Vancouver to the Philippines. With varying degrees of conviction, they trek deeper into the jungles, looking for souls to save. It's an intriguing story, although it's derailed somewhat by flashbacks and Apocalypse Now references. This young Canadian author has a keen eye and a sense of empathy that helps to bring his diverse characters to life. Set almost entirely in the jungles and cities of the South Pacific -- Thailand, Bali, Singapore, Borneo -- Kingdom of Monkeys, Adam Lewis Schroeder's debut collection of short fiction, probes the mechanics of clashing and blending cultures from a range of perspectives: colonials, tourists, locals. The finest of Schroeder's stories are those that involve Western interlopers plunged into half-understood island societies. "Seven Years with Wallace" reaches back to the 1860s to recount the awkward parting of a British naturalist from his Dyak "boy," Ali, as the naturalist prepares to return to England, leaving Ali to his own devices. The novella "Beautiful Feet," the collection's finale and easily the strongest story, centres on a fundamentalist Christian zealot from Vancouver who brings his reluctant family to the wilds of the Philippines. His misinformed attempt to "plant churches" leads to an encounter with a bizarre faith that has sprung up in the wake of the filming of Apocalypse Now. "Beautiful Feet" is suitably malevolent and sharply satiric, proving that Schroeder definitely has the guts and imagination to take on cross-cultural commentary. The stories that affect a native perspective are less convincing, perhaps because of the self-consciousness of Schroeder's imaginative leaps. Despite its unevenness, stories like "Seven Years with Wallace" and "Balinese" make Kingdom of Monkeys an auspicious debut. And "Beautiful Feet" in particular is not to be missed; if Schroeder continues to work in that vein, very good things can be expected of him. Adam Lewis Schroeder tries to subvert the illusion of the "exotic" in Kingdom of Monkeys, a collection of short stories set in exotic locations, and to some extent he succeeds, although the problem of the exotic will always remain a problem. There are some very good stories in this book, which contains some of the best writing I have seen in a long time, and the legitimate questions of a postmodernist are intelligently handled and are quiet properly overshadowed by the excellence of the storytelling. This guy should drive into the interior of BC, into southern Alberta and northern Saskatchewan and points east into the boondocks of Canada: there he will find a properly exotic subject for his properly de-exoticizing prose. In the stories of Adam Lewis Schroeder, meetings between West and East are generally like rubbing together two pieces of sandpaper. Interactions are scratchy, uncomfortable and irritating, with one culture -- often the westerner's -- worn down by exposure to the other. Schroeder's tales deal with the surprisingly deep relationship between an unconsciously condescending 19th-century British rare-specimen hunter and his native assistant, a Thai tour guide placating his angry clients, a dying Indonesian with a wandering memory who sided with the Dutch years earlier, and a demanding woman who has traipsed to Borneo with a boyfriend in hopes of observing high-tree orangutans. The best of the stories are filled with telling details and sometimes quirky comedy that add emotional colour to the narrative. In one, a Dutch painter "goes native" in Bali just as the Second World War begins. The novella Beautiful Feet is the tale of an emotionally and spiritually ill-equipped Canadian missionary family who journey to the Philippines and discover similarities between Jesus Christ and Apocalypse Now's Kurtz. The same comic note and attention to detail mark what seems to be a thematic anomaly in the book, the tale of an egocentric Hollywood movie actor filming in Prague who decides to pursue his Jewish roots. But it's also an East versus West tale -- eastern Europe rather than the far East -- and when the central figure adopts another culture, he's as awkward and uneasy as Schroeder's other westerners. These two collections [Kingdom of Monkeys, and What's Left Us by Aislinn Hunter], each consisting of six stories and a novella, are by Vancouver-based writers who have recently emerged from British Columbia's creative writing programs, and bear the stamp that readers have come to expect from that source. In fact, the recent crop of graduates is so good and so numerous that it has caused journalists to pontificate once more on the effectiveness of creative writing classes. My favourite word on that topic is Flannery O'Connor's response to the question "Do creative writing courses stifle writers?" She replied that they don't stifle enough. "There's many a good creative writing teacher that could have prevented a bestseller." Both Schroeder and Hunter have remained gloriously and deservedly unstifled, a vindication if one is needed of the teaching process. They are technically sophisticated, fully aware of previous literary traditions, yet on the cutting edge of current trends, and well able to situate their own work. Schroeder sets his stories in a range of Asian countries. He tells one story from the point of view of Amin, a dying man, semi-delusional and hallucinating, who travels from the depths of the country to town in search of medicine from an old friend who is a pharmacist. Reading it on the week of Eudora Welty's death reminded me of her much-anthologized story, "A Worn Path," about an old black woman walking to town on a similar mission. Such projects are more dangerous in Schroeder's post-colonial times than in 1941 when Welty published hers. He is fully aware of that fact, and his collection constitutes a kind of on-going dialogue with earlier artists who have worked cross-culturally. These include Joseph Conrad, William Golding, the film maker Francis Coppola, and the naturalist Alfred Russel Wallace, who was a contemporary and colleague of Darwin. One of his protagonists, A Dutch painter in Bali, slightly suggests Gaugin in Tahiti. Schroeder uses the oldest of story forms -- the odyssey. Most of his characters are engaged in journeys across foreign territory. He has a clearly defined view of the world and an attitude towards it that modulates between sympathy, irony, and hilarity. His fine comic sense produces effects that range from subtle to broadly humourous. Most of his travellers are in the grip of delusions, illusions, or mythological or religious systems that make their quests futile from the start, and which prevent them from understanding other human beings. Not only that, but the messages they send and receive all go awry, get misunderstood or are endlessly deferred. Nevertheless, his characters' isolation, courage and determination to press on is often rendered very poignantly. The dying Amin, for instance, discovers that the pharmacist he seeks has been dead for years. Nor was he a benign helper so much as a partner in crime who finally betrayed him. (Callous personal betrayal is a recurrent theme.) The Dutch painter on Bali, as he is rounded up by the Japanese, tries to send a message to a former model he loves, unaware that it is this same young man who has delivered him into the hands of his captors. 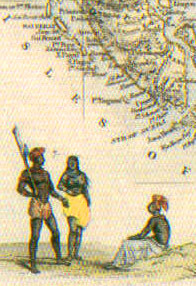 The lad from Borneo who has loyally served a naturalist for seven years, wanders around Singapore in search of his fellow tribesmen before he leaves for England. But his master has no intention of taking him along, and he is dumped at the dock watching the ship depart without him. He is still wearing the velvet suit that was hastily run up so that he could enter a hotel and spend a last night serving his master. The novella "Beautiful Feet" is the mainly comic account of a worker with the Vancouver Parks Board who loses his job and sets out with his family on a vaguely-defined mission to do God's work in the Philippines. "Once they've got MTV they won't look at you," he is warned. When, after penetrating ever more remote regions, he eventually finds potential converts, they have been exposed to something more seductive then MTV. They live among the remnants of a film set. The film that was made there was Apocalypse Now, Coppola's 1979 "take" on Conrad's "Heart of Darkness." Their sacred texts are fragments of the film's dialogue and the objects of their worshiop are a confused blend of Willard and Kurtz (characters from the film and the fiction respectively), and Marlon Brando -- a wonderful image for the means by which objects of worship, religious or secular, are construed in our time! ...Because anything tagged with the word "debut" invites speculation about the future, the question of what will come next is unavoidable for debut collections. An indication of future directions is built into both these books. In each one the novellas are the crowning achievement, but when they are read after the short stories, it is possible to see how the strands of the stories were woven with greater dexterity into the longer forms. Schroeder's story "Distance," anomalous in the collection because it is set in Europe rather than Asia, prefigures many of the components of the novella "Beautiful Feet." It is set in Prague, which had one of the oldest Jewish communities in Eastern Europe, and was the scene of persecution from the time of the Crusaders. In the story the use of such a place as the medieval setting for a Hollywood movie provides scope for comedy on subjects similar to those targeted in "Beautiful Feet." But the comparison emphasizes the greater maturity and assurance of the longer piece. It seems to me that in "Distance" the fine line between trivializing Jewish experience and satirizing the trivializing of Jewish history is not quite taut enough. ...There are dangers inherent in remarkable debuts as in other good performances. They may be so good that the artist has exhausted all his resources and peaked early. Or they may be so well-received that they tempt the artist to repeat herself. But the skill and intelligence with which these two writers have navigated their courses so far seems to auger very well for their next books. The latest fashion in Canadian publishing appears to be for books of short stories or slim novels from recent graduates of creative writing programs, as publishers hedge their bets by trying to find writers with credentials. Creative writing workshops, although undoubtedly useful, have their dangers. For instance, writers who take them can become self-referential: they can become each other's audience, establish a group mandate for what is or is not good writing and carry this mandate into the wider world of literature. The new publishing fashion has produced an uneven crop at best. Three of the better books of short stories to come out in 2001 are all by recent graduates of the University of British Columbia creative writing master's program. Kingdom of Monkeys by Adam Lewis Schroeder is an odd collection of stories whose only link is that they are set in foreign countries, mainly in Southeast Asia. Highly imaginative and vividly realized, these stories never sound patronizing or touristy. Schroeder knows his territory well and works hard at inserting his writing into exotic settings -- often a risky venture for a writer. The most successful story, "Beautiful Feet," is about bewildered white missionaries trying to come to terms with their new life in the Philippines. Schroeder successfully embeds a sly subtext about Apocalypse Now and the Asian heart of darkness in this clever and twisted story, which is satirical without being mean. In stories with non-white protagonists, Schroeder maintains more distance from his characters: these stories are interesting too, if less successful. And in "Pak Arafim the Pharmacist," set in Indonesia in an unspecified era, Schroeder achieves a tone of timeless magic realism. Schroeder chronicles cultures in collision. Seven Years with Wallace details the leave-taking, in Singapore, of a 19th-century specimen collector who has spent the previous seven years in the wilds, aided by a young Dayak from Borneo. This is an utterly convincing tale, bittersweet in its telling. Switching to the 20th century, Balinese depicts the vagaries of assimilation, as a Dutch artist is ultimately betrayed by a Balinese friend during the upheaval of the Second World War. Beautiful Feet, set in the present time, depicts a family of evangelical missionaries bumbling through their own personal heart-of-darkness tour in the jungles not far from Manila. Never stooping to mere caricature, Schroeder forces us to see these hapless figures as real people, avoiding the usual stereotypes associated with missionary types. Interestingly, his least successful story, Distance, true to its name, actually distances the reader through a less than believable plot that verges on self-conscious parody. Some reviewers may feel a duty to chide Vancouver writer Adam Lewis Schroeder's debut story collection for treading colonial paths already well-beaten by others, from Conrad and Kipling down through C. S. Godshalk and Francis Ford Coppola. If so, they'll be placing formal qualms ahead of substantive ones. In Kingdom of Monkeys, the textures and scents and colours -- the otherness -- of Indonesia, the Philippines, even 19th-century Singapore, shimmer on the page as if welling up intact out of distant memory. Schroeder begins with a fictional take on British naturalist Alfred Russel Wallace, in a tale that gives equal weight to his child servant Ali, a Dyak boy anticipating a payment of �10 for seven years of loyal service. Wallace has been travelling the South Pacific collecting rare insect and animal specimens in hope of riding on the coattails of Darwin's The Origin of Species. Ali, of course, does the fieldwork, climbing trees and foraging in the underbrush, while Wallace decides what's worth saving. Balinese presents a Dutch painter, Potgieter, living among rice farmers in Bali while Hitler's war is ravaging his homeland. It becomes clear that he's in love with Dalem, the young man who first posed for him, and who now lives in a distant village. Ignoring pleas from Dalem's father that he not go, Potgieter revisits his love object, who subtly but firmly rejects him. When Japanese soldiers later come through, rounding up stray Europeans, there's a sense that they've been led to Potgieter. The tale closes by following the journey of a letter passed, in local fashion, haphazardly from stranger to stranger, relying on good will and chance for its stuttering progress. It's the progress of Potgieter's absurd hopes, framed beautifully in Schroeder's metaphor. Other tales adeptly explore a range of similar culture clashes, while a closing novella plays fast and loose with Conrad and Coppola. A Vancouver family heads to the Philippines, hostage to a dad who's intent on spreading the word of Christ. They end upriver on the crumbling set of Apocalypse Now, where the natives are deeply immersed in a Brando cult. Hovering somewhere between parody and the keener edge of satire, the story aims some apt barbs at the weightiness of the film's closing scenes. For those who long to escape, explore and travel into exotic Asian parts, this book of short stories will take you there. Adam Lewis Schroeder shows us what it is like to be submersed in an alien culture, in his debut book Kingdom of Monkeys. His opening story, "Seven Years With Wallace," tells an early tale of a scientist collecting specimens to return to England. Along the way, he buys an indigenous boy, Ali, to help him in his research. Seven years later the boy is let go. The story shows the complexities of human emotions of the time: the unwillingness to allow love of a foreigner into one's heart, but the awareness of love is there, just beyond reach. "Balinese" is a story of a painter who travels to Bali to reconstruct its beauty. Once there he becomes aware of the frivolities of Western civilization. Years pass, his paints are gone, but he stays and marries. With the outbreak of the Second World War he is sought out by Japanese soldiers and deported. The third story, "Pak Arafim the Pharmacist," shows the potential horrors of old age. It depicts a man whose memories are so clouded he cannot remember his own family. It gives the readers the sense that no matter what you do in life, only death awaits. "Many Many Elephants" allows the readers a glimpse into the destitution of so many in Asian countries. It tells a story of a man who comes from a hut in a jungle to work in a hotel. When problems arise he must return to the jungle. In this story we learn from tourists and locals the differences between Western and Eastern culture. Schroeder's use of imagery in his title story, "Kingdom of Monkeys," allows the reader a chance to hear the insects crawling and flying, to feel the heat of the mid-afternoon Asian sun and to feel the awkwardness of a Christian foreigner in a Muslim jungle. The story illuminates cultural differences and the problems they create. When the Christian tourists leave the campsite Schroeder compares it to Barbarians leaving Rome after "some good-natured ransacking." "Distance," the last short story, tells of the plight of a spoiled movie star who changes his Jewish-sounding name. When filming in Prague he becomes acquainted with Jewish history. He feels his ancestry beckoning him toward the faith but a rabbi dissuades him from pursuing it. The story shows how history can easily be forgotten when it may hold so much. Schroeder's novella, "Beautiful Feet," is a hypnotic tale of man's ability to step into a strange world and knits his own thoughts into a sweater of disillusion. The story, which correlates with Conrad's Heart of Darkness and Coppola's Apocalypse Now, embraces the thought of how much madness can evolve from a single mind. It also compares devout Christianity's potential myths to that of another religion. Adam Lewis Schroeder will be the next great Canadian writer. His scenes and impressions touch a nerve that allow you to escape into a foreign world that becomes so real. Lessons can be learned from his work. But even without deep introspection, readers will be impressed by Schroeder's insight and smooth storytelling. In "Beautiful Feet," a novella in Adam Lewis Schroeder's short story collection, Melissa Jordan accompanies her zealous and somewhat confused husband, Barney, to the Philippines to "plant churches." They bring along their teenage son, who is torn between the Christian mission and his nascent sexuality. At first, this seems to be a comical story in which a family stumbles through the logistics of a new culture. They are eager, impatient even, to get to the jungle. Their Western arrogance quickly gets them into trouble. "Beautiful Feet" is a brilliant reworking of both Joseph Conrad's Heart of Darkness and the film Apocalypse Now (itself a free adaptation of Conrad's novel). Schroeder masterfully shows how modern idiosyncrasies encounter ancient traditions. Thankfully, he avoids the clich�s of good and evil. The collision of cultures shapes the whole book. The other stories - one is about a Thai trail guide comforting some angry, frustrated Western tourists by telling his life story, another about a Malay boy in 19th-century Singapore who faithfully serves a British naturalist for seven years - reveal in various ways the intertwined themes of colonial conquest, identity politics and globalization. Take this quip from one of the ministers in the Jordans' church: "'For God's sake get to them first," Harry said. "Once they've got MTV they won't look at you.'" The Jordans end up on the location for Apocalypse Now. Twenty years on, it is still full of human skulls on sticks and a cast of unruly natives. Schroeder seems concerned throughout his collection with the treatment of locals by foreigners, no doubt drawing on observations from his travels in Southeast Asia. With memorable and colourful depictions of character and scenery, he evokes the dementia of old age, the cruelty of classism and the prevalence of racism. This mature book belies Schroeder's youth; he is only 28. With his debut, he belongs to a much-hyped new wave of fiction from first-time authors and is the latest of a series of writers to emerge from a so-called talent incubator, the creative writing program at the University of British Columbia. He also seems to be part of a movement in Canadian literature recently discussed by the travel writer and essayist Pico Iyer in Saturday Night, a movement that captures the powerful space between old worlds and new, "a readiness to respond to others on a level deeper than their customs, clothes or colour." By way of imagination, Iyer argues, we can think differently about one another. "Only at the level of the individual," he writes, can we "truly penetrate the Other and let the Other penetrate us." In "Beautiful Feet" there is a striking argument between Barney Jordan, Manong, a jungle dweller convinced he is Kurtz, and Duffy, a missionary gone wild. "Barney opened his mouth to speak, but instead sneezed violently. 'Kurtz makes you sick,' said Manong. 'Kurtz stronger than you.' 'It's the dust,' said Barney. 'There's no Kurtz here.' 'Of course, Jesus is not here, either,' said Duffy. 'Not that we can see.' 'He's in me,' said Barney. He picked up the New Testament. 'He's in here.' 'Kurtz is inside Manong to the same extent.' 'So who's inside you?' Barney wiped his nose with his T-shirt, glaring up at Duffy. 'This whole mess is based solely on a war movie and explosives, is that right?' 'Well, if Christianity is based on a dead Jew and a couple of sticks of wood, then yes. Absolutely, that's what we have.' Manong sat impassively, smoking his cigarette. A fly landed on his upper lip. 'Okay, good one. Very clever,' said Barney. 'But when you run out of bombs, what's left of the religion? They all go back to what they were doing before, thanking the God of Pigs for their harvest or whatever they used to do?' 'Oh, it's all interchangeable,' said Duffy. 'We want reassurance that we have a place in this world. We want to know that no matter how sad our lives, that something or someone has an interest in us. That the God of Pigs cares.'" One of the most touching stories in the collection, "Pak Arafim," chronicles an old man's search for the past, for a pharmacist and old friend long since dead. He talks to monkeys, dogs and lizards, creatures he treated with disdain in his younger life. "He'd started a campaign - yes he, Pak Amin, who ran the town market - to drive the dogs from town. He remembered this. He'd said that they had to be taken from the market because they spread worms to the meat that was for sale and when the town had agreed he'd demanded the dogs be taken out to the forest where they would have to look after themselves. But in truth he'd paid the street-sweepers to club the dogs on the head and dump them in the harbour. Most nights he and Pak Arafim would leave their mah-jong to watch the bodies floating beneath the pier." All the stories are set in Southeast Asia, except for one in Prague, which disturbs the carefully crafted flow of the book. But that is a small flaw in a delightful debut. Schroeder was in danger of not living up to the standards set for him by hype about first-time writers. With Kingdom of Monkeys, he has risen above that while sinking his readers into an exotic world rich with irony and insight into the individual Other. "Monkey see, monkey do" is the phrase that kept running through my head as I cut through the first four short stories of Adam Lewis Schroeder's debut collection with my machete. The characters were wooden, post-colonial pastiches identified as local by a tightly knotted sarong. The singsong, awkward English was relieved slightly by the bored third-person narrator. And the prose, rife with passive phrasing, languished on the page like Anais Nin at an opium den: "Because he was dying, Amin decided to make one last trip into town to see his friend Pak Arafim the pharmacist. In preparation, he rolled seven cigarettes with strips of banana leaf, put on his white sarong and blue jacket in the dark of his house and wrapped a checkered cloth around his head." Then came the fifth story, Kingdom of Monkeys, a first -person account of two companions travelling to Kota Kinabalu. Now Schroeder, a graduate of the University of British Columbia's creative writing program, had found his voice. Schroeder, whose stories have appeared in Scribner's Best of the Fiction Workshops 1997 and in Best Canadian Stories '99, takes off his ill-fitting local sarong and dons tourist garb to great effect. The story is told from the point of view of the female half of the couple. She swears, boldly confronts local men, laughs out loud, and knows martial arts. In one funny scene, the protagonist and her mate Hal get off the boat at their destination camp and are snubbed by two German models: "Black muck was collecting under my bra and our packs were so heavy we were sinking in the mud. Finally, a long boat came swinging up the river and a couple of German models in string bikinis and hiking boots hopped out - Germans are beautiful or ugly, there's no in-between. They murmured, "Danke schoen," while the guys from the boat carried their bags over the mud. Nobody looked at me or Hal, and who can blame them? Hal's no German model." In the final tale, Beautiful Feet, Schroeder again hits the right note. We meet a cheeky female character named Melissa. She and her husband Barney (and their surly teenager) are misguided missionaries saving souls among headhunters in the Philippines. Only this little mission is her husband's passion - she's on board to keep the marriage intact: "But Jesus was not in her heart, or anywhere else in that vicinity. While Barney stood up and shouted and others stood up with him and shouted and Dr. Webster the dentist started speaking in tongues, she sat quietly on her creaking plastic chair." When the family arrives at the mid-point in their journey to a distant outpost, the luggage they are carting is more than mere suitcases: "They dragged their suitcases behind them, scraping along the pavement, grinding down their plastic corners. The noise acted like a public address system: We're not from here! We're idiots! Grim-faced men with briefcases stepped out of their way. Barney gave Melissa and Graeme a jokey smile." Beautiful Feet is more of a novella than a short story. It is the gem of this collection and saves Kingdom of Monkeys from mediocrity. I was tempted to use the "monkeys at typewriters" joke as my opening salvo, but the last three stories made that blunt dismissal unnecessary. � 2002 Adam Lewis Schroeder.